This trip all started with an Instagram post. 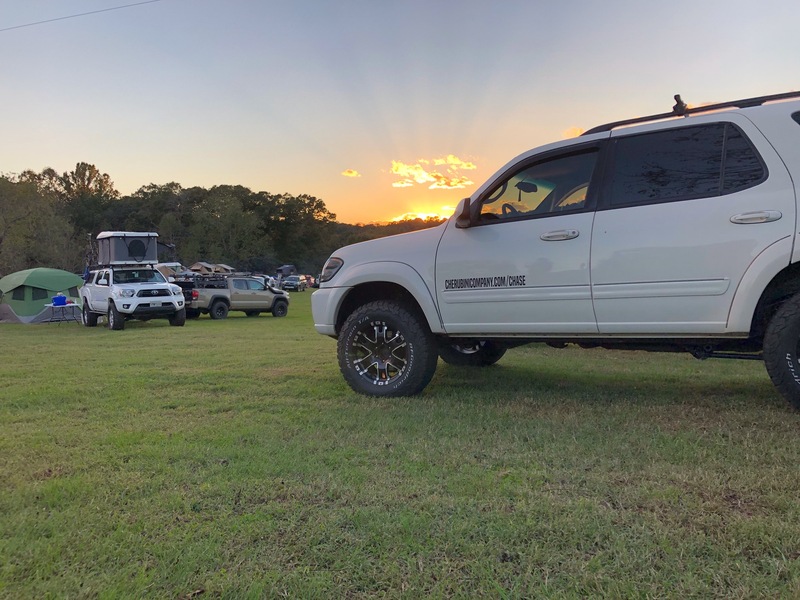 Chase saw it and immediately told me when and where we were going for the Roof Top Tent Rally 2018 sponsored by Blue Ridge Overland Gear. We have always taken an interest in overlanding, RVing, traveling, camping, etc. so we were so excited and nervous to go to this event out of state. 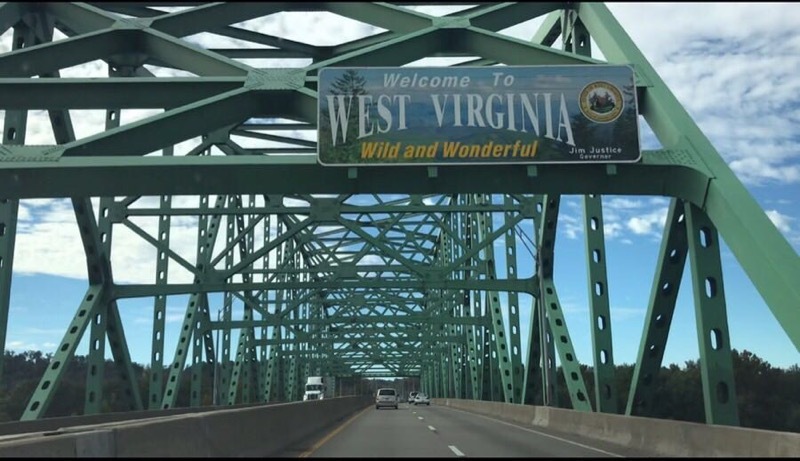 We packed up the car and headed out on Friday for the six and a half hour drive there which of course, really turned into eight because of construction in West Virginia. Once we got there, we were super excited, nervous, and amazed by everything that was about to happen. We received an envelope with the agenda for the weekend, a map of the state park, all vendors, and a car parking pass. They had a bunch of cool set ups, a vendor village, a big bonfire, and various other activities going on for all of us who were attending. 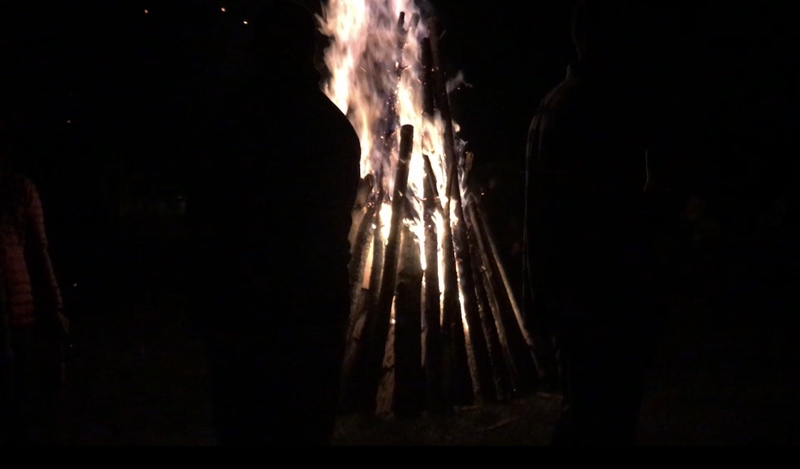 The first night was basically just a giant social party with a beer exchange and the bonfire. It was really cool to walk around the small vendor village and see all of the different set ups people had. We were surprised by the amount of people who were there and didn’t have a roof top tent like us! Some people had the really cool roof top tents, others were in actual tents, and some slept in the back of cars. We slept in the back of the Sequoia the whole time with sleeping pads and big blankets. When we woke up the first morning, the air smelled like smoky bacon, bold coffee, and everyone was hustling to get ready for all of the activities that were happening that day. 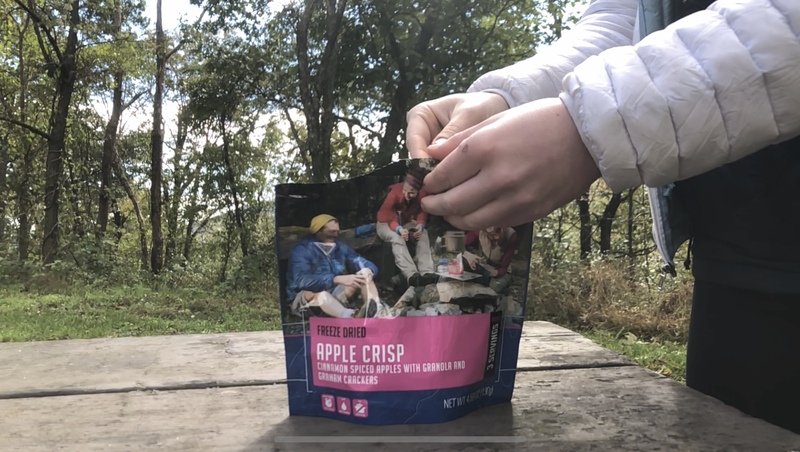 On this trip, we decided to take Mountain house meals which were a lifesaver for us since it was only us two. We didn’t have to clean anything up, they were super easy, and very good! We had the biscuits and gravy, turkey dinner, and apple crisp. Also, we took everything bagels and toasted them on the griddle on top of the Coleman 2-burner propane stove then added some cheese and ham as a meal! The agenda they gave us at the check in had almost every hour of the day filled for us. There were free classes like visual storytelling, overlanding methodology, first aid, basic skottle cooking, and vehicle recovery. We picked a few to go to and took notes on what they were teaching us. I personally enjoyed the basic skottle cooking class taught by Jen Ruzicka of Family Adventure Overlanding the best. 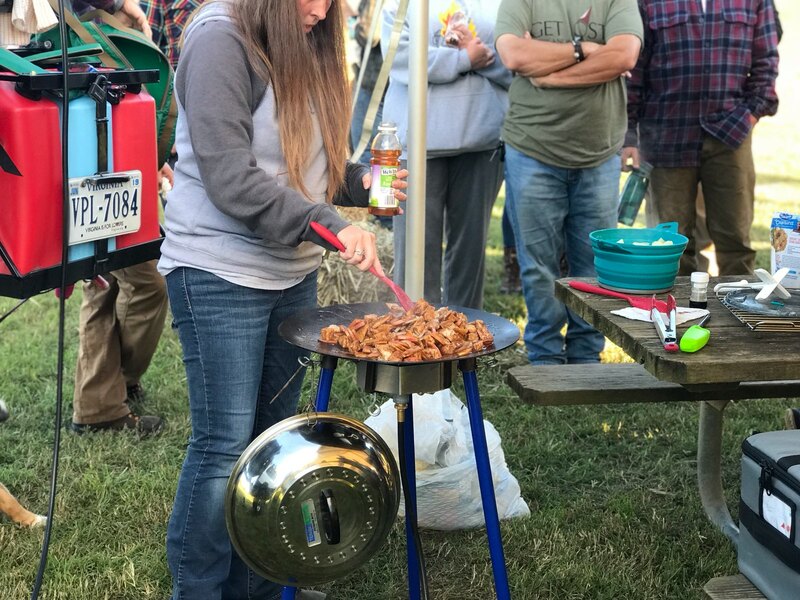 Jen and her husband did a very god job teaching, answering questions, and made some amazing mouthwatering apple cinnamon pork chops with mashed potatoes for everyone to try! Chase liked the visual story telling class taught by Dean Shirley of East Coast Overland Adventure. Dean is an awesome guy who told his story about how he got into his profession. He explained the why’s and how’s for visual storytelling and brought in his own books to show us how to implement the skills he taught us. After all the classes were over, we went back up to the car to relax for a bit and made a Mountain House Meal for dinner. We headed down to the vendor village to check things out one last time. I ended up climbing up into a lime green CVT Rainer Summit Line Roof Top Tent. Let me tell you, if I ever get one, it will be one of those because of how big and comfortable it was! 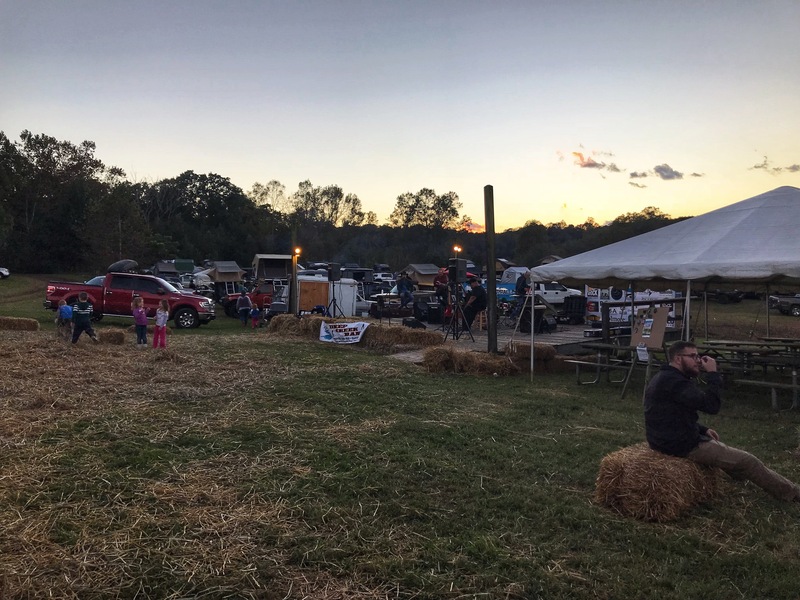 Later on, Bold Rock Hard Cider and a local band called Deep Creek Band came to the event to provide drinks and entertainment for the night by the bonfire. The band sounded good and played a variety of songs to keep everyone interested. 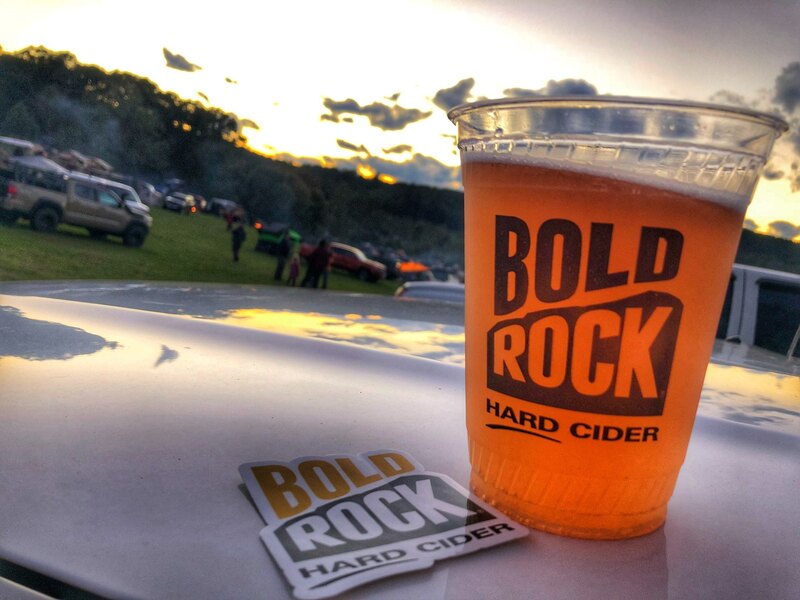 Bold Rock brought their Virginia Apple Cider and Blood Orange Cider which was amazing! They also raffled off one roof top tent that night to a lucky winner who happened to be neither one of us, of course! Our last night was a pretty cold night. The area got hit with a heavy winds with the temperature in the lower 40’s. Needless to say, I was happy we were in the car and not our neighbors who had to pack up at 1AM and leave the camp site because they were in a tent. The next morning, we rearranged the car and stood down by the stage for the last of the raffle which included two more roof top tents, a Dometic cooler, a Ready Light, a Parker’s Crossbow, etc. Once the raffle was over, we headed out on the road north to Shenandoah National Park. We drove up to the South entrance and stopped at a few overlooks which offered stunning views of the towns below. Chase and I stopped at Dundo for lunch and to record for our vlog. It was super cold and windy so we had to put on our winter coats and hats to just stand outside. After that, we headed to the Loft Mountain Camp Store to look around for a few before heading home. We wish we could’ve had more time here because there was still a lot of road left and we didn’t get to hike at all! On our way home in West Virginia we saw our first snow of the year! 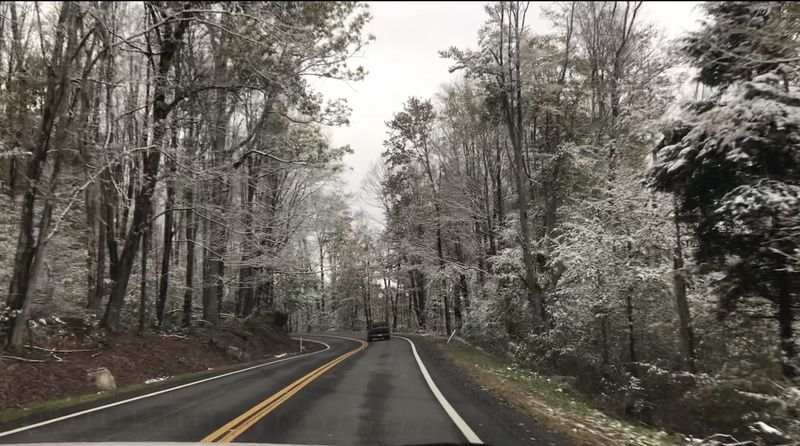 It was so cool and pretty to drive through but I’m definitely not ready for snow yet! We really enjoyed this trip over all and look forward to going again next year! We met a lot of amazing people, learned so many new things, and made some good memories. Stayed tuned for more adventures. Make sure to check out our Vlog of this trip on our YouTube page: Roof Top Tent Rally Video! Great Smoky Mountains National Park and Gatlinburg.